The blue feeling is the sensation which affects people when they feel down, depressed, sad and more generally when they are in a bad feeling state. In some cases, it is a recurring situation in their everyday life and it can be the first symptom of more complex psychological diseases such as depression. In the last decade, as consequence of the quick increase of detected cases of depression in children and teenagers, it has become very important to find strategies for a timely detection of this pathology. In this work, we describe a model that can support the detection task, by identifying some warning scenarios of blue feeling. The proposed architecture is composed by modules focused on different aspects that characterize the scenario: changes in heart rate, reduction of sleep, reduction of activities performed, increases of use of negative phrases and words. 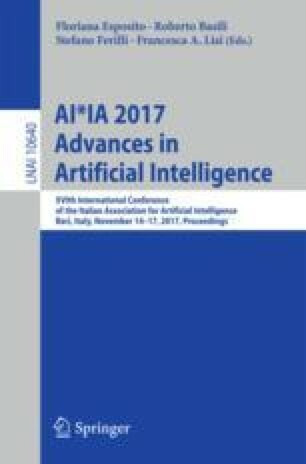 In particular, in this paper, we describe the approach adopted to analyze users posts on social media networks (SMNs) by using natural language processing techniques. The proposed approach is evaluated through an experimental session over a dataset of Facebook posts. The results show good performance in the detection of negative feeling. This research has been supported by “Microsoft Azure for Research program 2016–2017”, which provides the access to all the Azure technologies for computing the data described in this work.